The Guest House Attenti al Gatto is located right in the heart of Marano Lagunare, a charming little town on the Friulian coast, which overlooks the lagoon of the same name. The town is surrounded by areas of great environmental interest (the lagoon and in particular the nature reserve at the mouth of the River Stella, the islands that separate the lagoon from the open Adriatic and the plains oakwoods) that can be visited in short excursions. During the summer there is a ferry service connecting Marano with the beaches at Lignano Sabbiadoro and within a few kilometres stand the historic towns of Aquileia, Grado and Palmanova. The city of Udine is just 35 km away, while the nearest railway station is at San Giorgio di Nogaro(10 km) on the train line between Venice and Trieste. 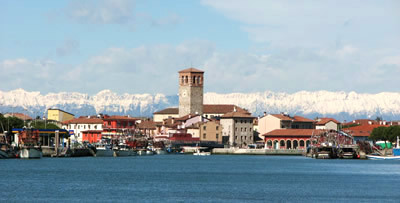 Attenti al Gatto is an excellent starting point to visit the region, especially the coastal part. 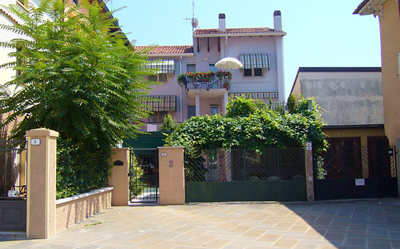 The house is in the old town centre of Marano. It overlooks the main square on one side, the harbour on the other. It's just a short walk to all the town facilities. Attenti al Gatto is the ideal place to appreciate the convivial atmosphere of Marano, and to enjoy your stay in a quiet, welcoming setting.